This beautifully designed box holds all the elements needed to create an origami paper story to the 'Azure Allure'. 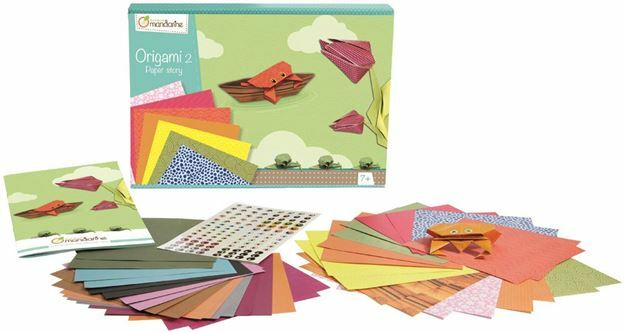 Transform each of the 20 flat origami sheets into a finished sculpture as described and illustrated within the instruction book. Includes: 20 beautifully designed paper sheets (12 x12cm, 70gsm), a sheet of stickers and detailed instruction sheet. Age 6+ years. Distributed in New Zealand by Holdson.